Stahanovism basically means engaging in very hard, but highly efficient physical labor, with the goal of exceeding planned production levels in a factory during the Communist regime. The term stems from the name of a Russian miner — Alexei Grigorievici Stahanov — who managed to extract 102 tonnes of coal in a single night (August 30, 1935)t, thus reaching seven times the the normal production quota. 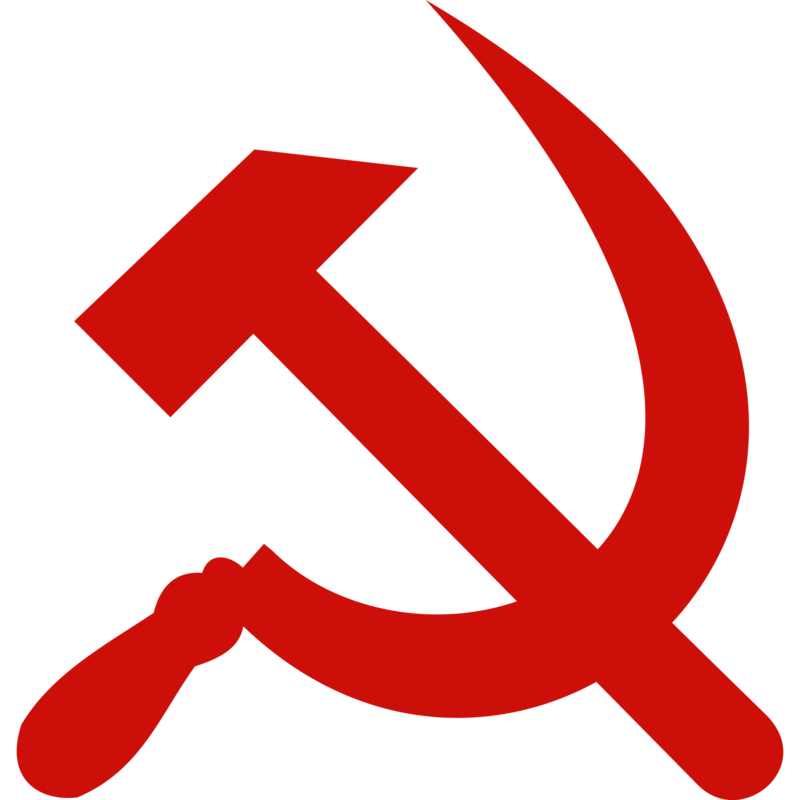 The Communist Parties across the Eastern Bloc needed such prototypical working class heroes not only to stimulate internal production (which was always planned and had very ambitious targets), but also to prove to the Capitalist West that Communist economies were flourishing, and this was only because the working class was cherished across society. Following the lead of its bigger brother (pun intended!) Russia, in 1951 Romania adopted a decision to encourage Stahanovism. 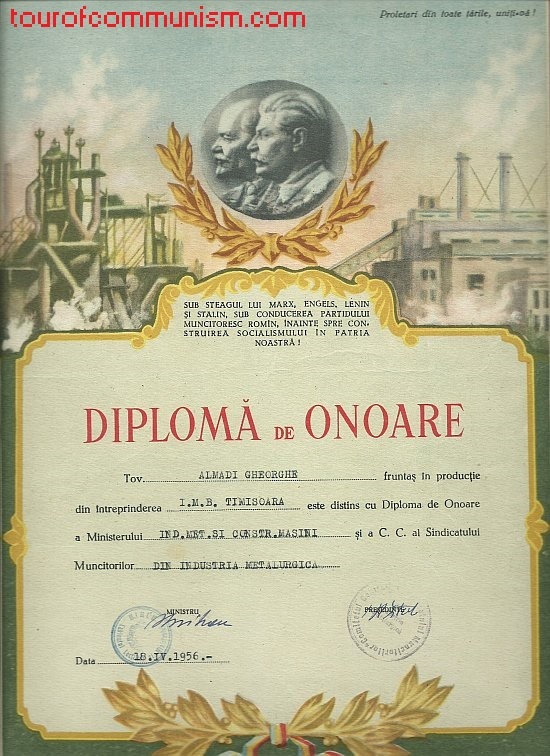 The most common practice to implement this was to identify prominent workers from state-owned factories, and reward them with medals or honorary diplomas. The Party’s official newspaper, “Scânteia” (literally, the Spark), would regularly provide extensive coverage of such socialist accomplishments, often pointing out how various industries managed to exceed their planned production quotas, owing to the hard work and dedication of the laborers (Notice that “profit” was never used and was never a goal by itself, since the term was considered tinted by capitalism, almost evil! What really mattered was to produce as much as possible, in full disregard for demand, and often quality). 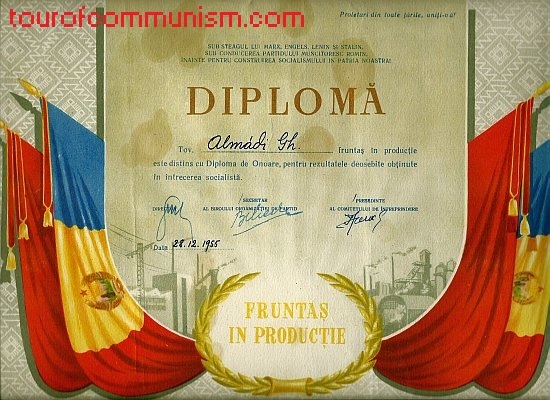 Here are three examples of “honorary diplomas” awarded by various party institutions to comrade Almadi Gheorghe (we’re not sure what he did to deserve these, but he probably contributed somehow to exceeding the production quotas). 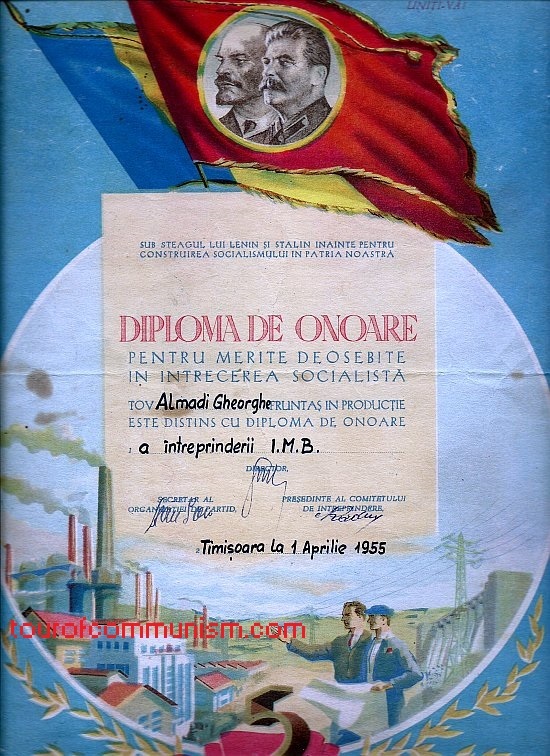 The diploma was awarded on April 18, 1956 (interestingly, after Stalin’s death, which ushered an anti-Stalinist orientation in all Communist regimes). Finally, the third one uses pretty much the same language as the other two, and was granted on December 28th, 1955.